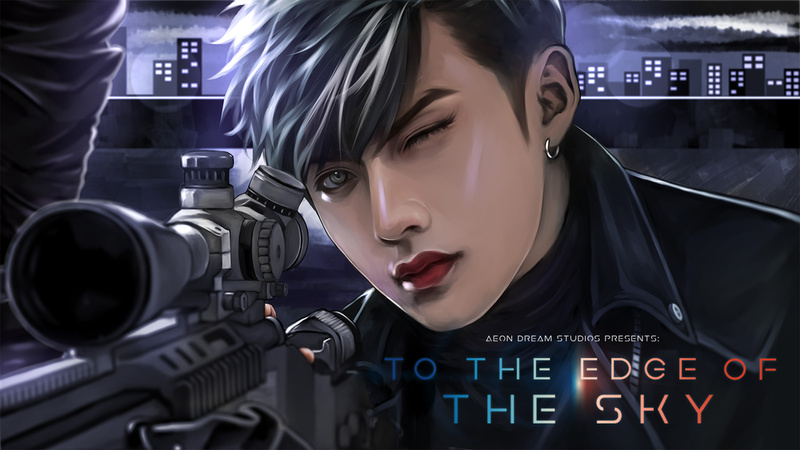 Originally begun as a fan made BTS tribute game, the art was changed when BigHit Entertainment contacted Aeon Dream. The game lives on in its current incarnation as Operation Phoenix, with the male members of Phantom Alpha having revamped artwork to suit their characters, but the story otherwise maintains its integrity. To the Edge of the Sky is developed and released in ongoing updates indefinitely. After a ritual forces immense magical powers onto you, you’re thrown into a new world with new threats and challenges that you’d never dreamed of. Play as twenty year-old university student Tsubasa Fujimoto as she learns to balance her daily life with her new supernatural one – all while falling in love. Our debut game, this visual novel tackles romance in an urban fantasy setting in modern day japan, with the aim of blending genres and deconstructing common tropes. Check out more about it here.